We are happy to announce this new resource for all of the people who have connected with Jerry and Holly Leachman in the past and launch it with the hope that many in the future will benefit from the wisdom and and love that this ministry provides. We will also be expanding it with audio recordings from many of the events that Jerry and Holly have lead. It is a work in progress so please check back often. 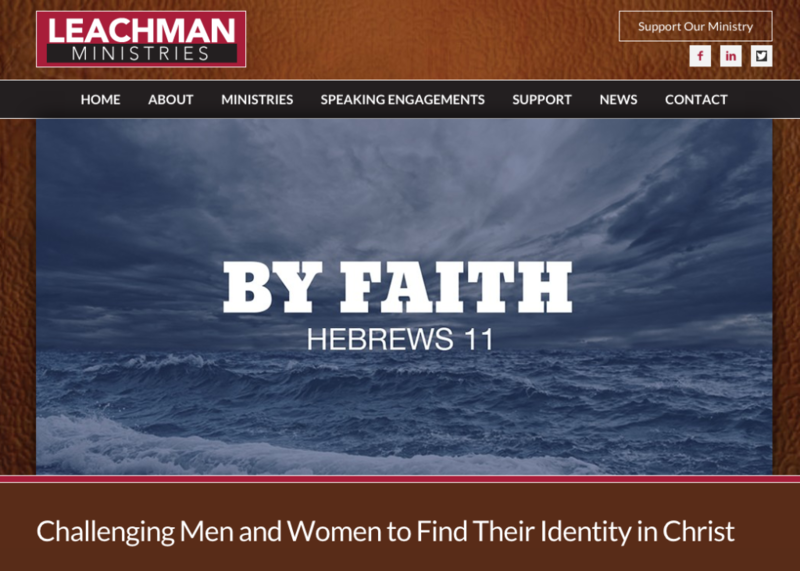 We have also set up an online portal for supporting Leachman Ministries. Many whom the ministry has touched have asked how they could help support it so we have partnered with SimpleGive to provide a simple and secure way for supporters to donate one-time support or ongoing monthly support online. You can find out more about supporting our ministry here. Thanks to everyone for your support and prayers. We look forward to what God is doing with this ministry and hope you will participate with whatever God puts on your heart.